As we get closer and closer to spring, many of you are getting ready to get back out on the water. Presuming that you conducted proper winterization and are working on pre-season preparation techniques, now it is time to ensure that your Sea-Doo is primed and ready for use. If your Sea-Doo has been in storage for more than two months, we recommend taking the time to ensure your fuel system is clean and in good shape so that your first ride back on the water is exactly the ride you’ve been dreaming of! Before you stored your watercraft, we hope you followed winterizing or storage procedures and are starting with a full tank of gas. These procedures can be modified depending on your starting fuel level. 1. Verify fuel system: Check fuel hoses for leaks and damaged hose clamps. If you smell fuel you will need to trace the source of the leak using your hands and/or fingers. Ensure you inspect your fuel cap for cracks or leaks. 2. Add a fuel stabilizer to the tank, we recommend BRP’s Fuel Stabilizer, Part No. 413408601, 8 oz. This stabilizer will help prevent fuel contamination and residue build up in carburetor, fuel injection system and gas lines. This stabilizer should always be used before storing your watercraft for a long period of time and is suitable for all gasoline engines. If you do not have a full tank, we recommend adding the stabilizer before you fill your tank. 3. After you add fuel stabilizer, fill the gas tank completely. The primary reason is to ensure no water is inside the fuel tank from condensation build up during storage. Should any water be trapped inside the fuel tank, severe damage could occur to the fuel system. When fueling, be sure to keep the watercraft on a level surface. Do not overfill or top off the fuel tank and leave the watercraft in the sun. When temperatures increase fuel expands and this could cause the gasoline to overflow. 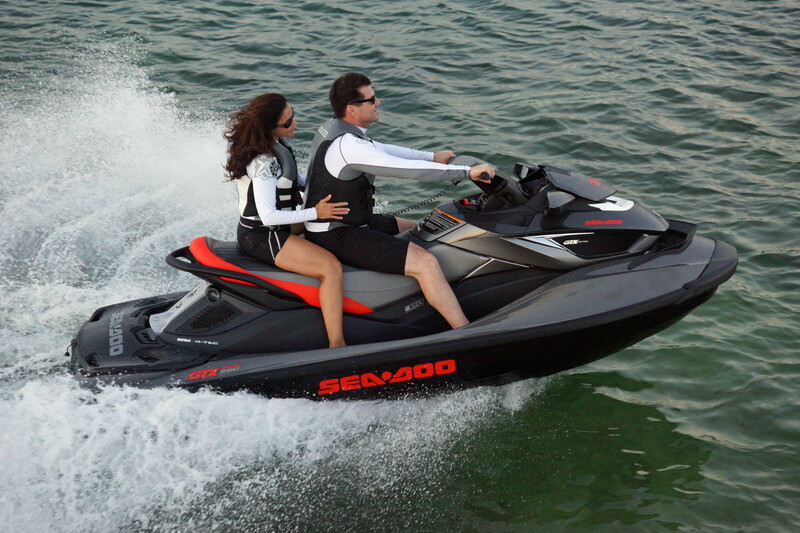 Don’t forget about ECO mode when you are maintaining your Sea-Doo fuel system. ECO mode is an exclusive feature of Sea-Doo watercraft that helps you stay out on the water longer by automatically determining the most economical power delivery for the greatest fuel economy. Once you have cleaned and protected your fuel system, you are ready for the first ride of the season!